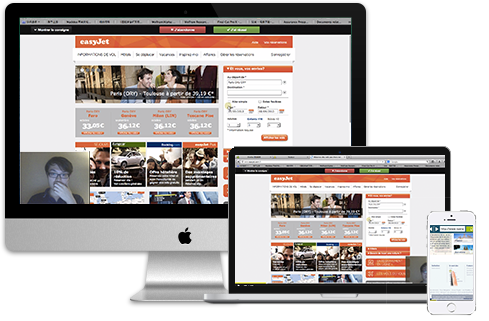 Evalyzer is the most complete User Testing application. Focus on your job, Evalyzer takes care of everything. Define tasks and surveys for your test campaign. One link for all media. Share the invitation link to test participants on a lab or on the Web. Get reliable results for your optimizations, automatically. 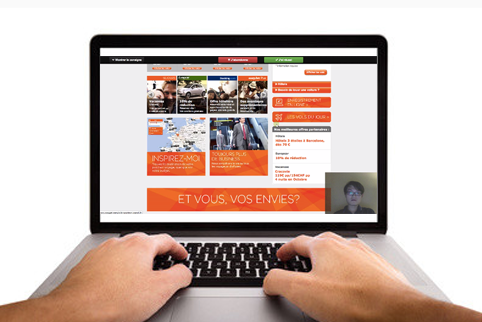 Evalyzer captures the screen, facial expressions (webcam) and the voice (micro) of the user. You can replay the test and see what’s happened. No need to waste your time watching the whole video. Just watch the key moments, where there is an interesting behavior: all User events (clicks, scrolls…) are synchronized with the video. Tired to do User Tests one by one on each device? Evalyzer supports various devices (desktops, tablets & smartphones) for you. Now you can know in which devices your Users have a better experience. Analysis made simple with Evalyzer! Evalyzer is designed to facilitate the analysis of a User Test. 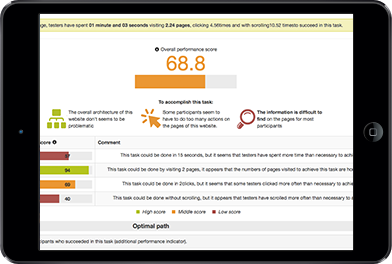 Visualize the data with interactive graphics: performance indicators, navigation paths, crossed data with survey results,… According to the type of User behaviors, Evalyzer recommands you the most interesting videos. The data analysis becomes so easy and full of fun! No code, no scripts and no advanced technical knowledges are needed to use Evalyzer. 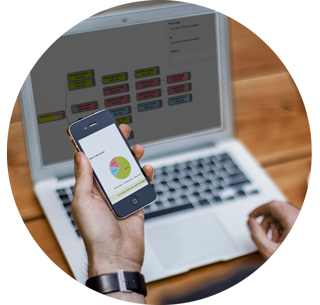 You can design a User Test in minutes, Evalyzer takes care of the process. Do something else and come back from time to time to see what you get! You can use Evalyzer for all kinds of Web projects. Want to know if your Web site have a good User Experience? Make an evaluation with Evalyzer. Want to launch a Web site with Users in mind? Test your designs with Evalyzer. Want to know which design version is better? Compare them with Evalyzer. Want to know the best User Experience practices? Have a benchmark with Evalyzer. Want to learn more or try Evalyzer?